Welcome to the Journey to Recovery Premium Subscription Site. Your subscription enables you to browse through the available resources or search for what you need. You can download and use lessons, handouts, graphics, journal forms, and worksheets right from the site. Once you’ve logged into your account, hundreds of lessons, worksheets, handouts and graphics are available to download. Books and workbooks are sold separately. You can browse through the lists of products and click the download button, or you can go to the Members Library for a list of available materials and download items from there. Your Journey to Recovery subscription grants you permission to download and print materials for use with your clients or groups. It does not grant you permission to share these materials with other clinicians. To legally print copies of the material each counselor is required to have an active subscription. 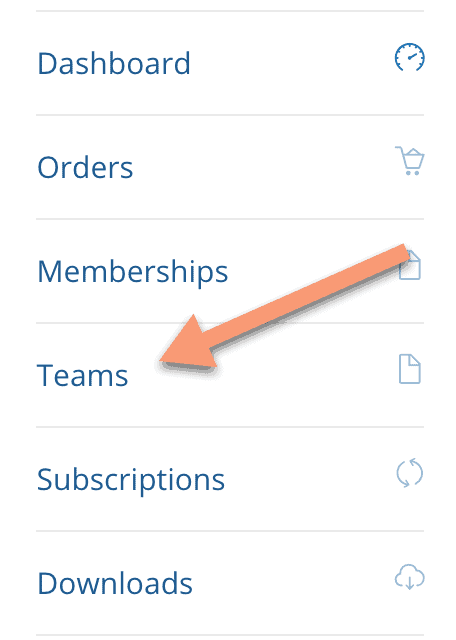 If you purchased a subscription for 2 or more Members, you’ll need to add individual Members to your Team. From the Main Menu, select Member Account to open the Member Dashboard. 3. On the left menu, click on Teams. 6. For each Member enter an email and choose from one of two roles – Member or Manager. b. Each new Member will receive an email to complete the registration. Tell those you’ve invited to check secondary or junk email if they don’t see it.